Thunderbird Thursday! School Supplies Lists, Fall Kid Stop Info, Haslanger 5K, JYMS Fall Sports Info and MORE! Check Out the Newly Renovated BHS! Click here to download the Fall Kid Stop Enrollment form and policies. Baraboo High School's Boys and Girls Cross Country hosted the annual Haslanger 5K Run/Walk on Saturday, August 4th. The run is in honor of Coach Harry Haslanger , BHS cross country coach from 1967-1977, and is a fundraiser for both the boys and girls teams. More than 100 people took part in the 5K and the 1/2 mile kids run at BHS. A big thank you to the race sponsor, Festival Foods, and to all of the runners and fans who came out to support BHS Cross Country! The T-Birds will host one meet this year, the Thunderbird Challenge, at BHS on Tuesday, September 18th. Following the Haslanger Race on Saturday, alumni gathered at Devil's Lake State Park to celebrate Coach Peter Arndt's retirement from coaching the Thunderbirds for an amazing 36 years. A big thank you to everyone who made it a very special day! JYMS Fall Athletes: Get Your Registration Info Here! Jack Young Middle School Athletics is available to all students, including homeschool and private school students, in the appropriate grade level who live within the boundaries of the School District of Baraboo. Baraboo High School is proud to offer many travel opportunities to students. This summer, students from BHS traveled to Europe for the BHS Switaly trip, touring Switzerland and Italy! 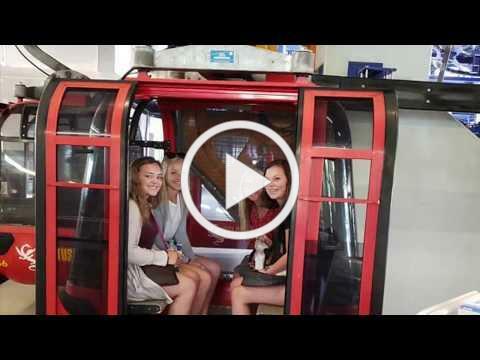 This was an amazing opportunity for our students, but since we couldn't all go on the Switaly trip BHS teacher Jake Boll put together a video, condensing 12 days into 20 minutes, so that the rest of us could vacation vicariously! Additionally, BHS senior Jayda Lochner compiled a video of her experience. BHS works to provide many travel opportunities for our students. The History Department offers trips in even numbered summers, the Art Department travels in odd numbered summers, French students every odd year during spring break, and the music department offers yearly student travel opportunities. By doing this, it is the hope of teachers and staff that students of all different interests will have an opportunity to expand their view of the world and travel. Gordon L. Willson is thrilled to announce that with the West Willson Parent Association's support and family/staff fundraising efforts, Phase III (the final phase) of G.L.W. 's P layground Improvement Plan will be completed this summer! The High School ribbon cutting will then follow at 5:00 pm. Stay Connected with the Baraboo School District!